The sleigh ride of days toward Christmas 2012 is gaining momentum. Will yuletide legends immortalize you as a jolly ole chap or a Grinch? It may depend on your array of gifts and sentiments of giving. However, regardless of intentions, giving is contingent on the size of high interest savings accounts (you have those, right?) and the ability to compare savings deals. Christmas is months away. Start simplifying your savings now; and, become the Santa of a soul your family and friends know you to be at heart. Consider the following savings ideas. Working as an extra: You don’t have to live in Los Angeles to be in the movies. Television and movie productions take place all over the world, often needing ‘extras’ to fulfill the reality of particular scenes. Some pay an excess of one-hundred dollars per day! Advertising pamphlets: Large to small corporations save money on mailing by hiring people to place materials in mailboxes. It is easy, simple, paid, and requires little effort. Open up your local ‘wanted’ pages to view potential positions. As stated, time is money; this doesn’t just mean working. It means taking the time to compare savings deals. Do you have a sought-after, high-priced ticket item on your Christmas list? It can be akin to going to the corner market for some milk. You pay the price asked. However, you could be smarter, leveraging the web and local papers to identify the best price or wait for a sale. Do you want to save? Then, shop smart. Establishing automated payments takes time, and can be a hassle. However, it helps save money. Do you notice less money going in your high interest savings accounts? That’s because you’re tardy with payments. It’s not damaging your credit, just your wallet. This particular time of year, it’s influencing your ability to be the super Santa you want to be. Make it automated; save on late fees; and, increase the giving this season. From a day-to-day perspective, spending five to ten dollars on lunch is not incredibly detrimental. However, multiply over the month. Multiply that over the months leading to Christmas. How many dollars can transfer into your savings account rather than to the vendor down the street when you start packing your own lunch? Many find they are killing their savings softly by chipping away at it with small purchases rather than making high-end buys. Oh look, you’re still signed up at the gym, though you haven’t gone in seven months. That’s thirty dollars per month. You’ve become so used to magazine subscriptions sitting on the table (then ending in the trash unread), you forgot the cumulative cost. What is unused, unneeded, and costing you money? Don’t forget to monitor all your expenditures. 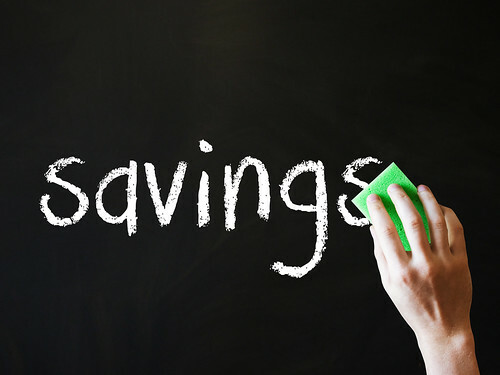 Compare savings deals between generic and name brands. Oh, you gravitate toward the name brands? That’s the triumph of advertising and branding. Think about how many times you spend an extra dollar or two for ‘recognized’ brands, though sometimes generic brands differ in only a few ingredients and nothing in quality. Do you want to have the jolliest of Christmases this year? Make saving simple. Think simple and save more for the holiday season. Amie is a passionate personal finance coach, specialising in high interest savings accounts, such as fixed rate savings bonds on fairinvestment.co.uk.